Although Oktoberfest is celebrated annually all around the world, including here in London, it originates from when Prince Ludwig, who later became the King of Bavaria, married Princess Therese of Saxe-Hildburghausen on October 12 1810, in Munich. As such, the festival is primarily held in the part of Munich called the ‘Theresienwiese’, which means the field of Therese. 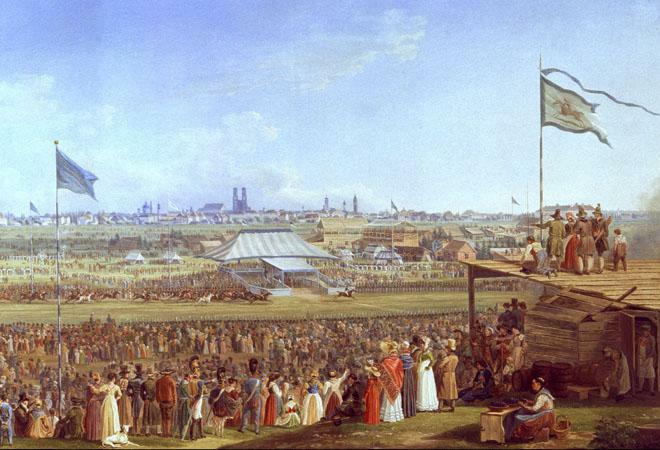 This original Oktoberfest consisted just of wedding celebrations and a large horse race which gathered over 40,000 spectators. Over the 215 years since the original Oktoberfest, the festival has changed and developed in numerous positive ways. Whilst the original funfairs were very clearly just local tradition, the modern Oktoberfest is the largest celebration in the world, marking it as an important global event, with over 6.5 million people in attendance in the Theresienwiese festival alone. Despite being an extremely important festival, in the past Oktoberfest has occasionally been cancelled or manipulated for political gain. Bavaria’s involvement in warfare, including the Napoleonic Wars, the Austro-Prussian War, the Franco-Prussian War and both World Wars, prevented the annual celebration for the wedding due to safety concerns. Likewise, outbreaks of Cholera in the region during the 19th century led to many deaths which also stopped Oktoberfest from going ahead. Additionally, the Nazis took advantage of the festival in their attempt to achieve ‘Gleichschaltung’ or complete totalitarian control over all aspects of society. In spite of this, Oktoberfest has increased in both the range of events and number of people attending since the original 1810 celebration. The popular association between Oktoberfest and the consumption of beer really only began in 1887, when breweries were allowed to start entering horse teams into the races. Drinking, however, was only available to the public from 1892 onwards, when the first beers began to be served in glass mugs. Previously, the event used to include many activities for attendees to take part in, including skittles, a game very similar to bowling, tree climbing and dancing. 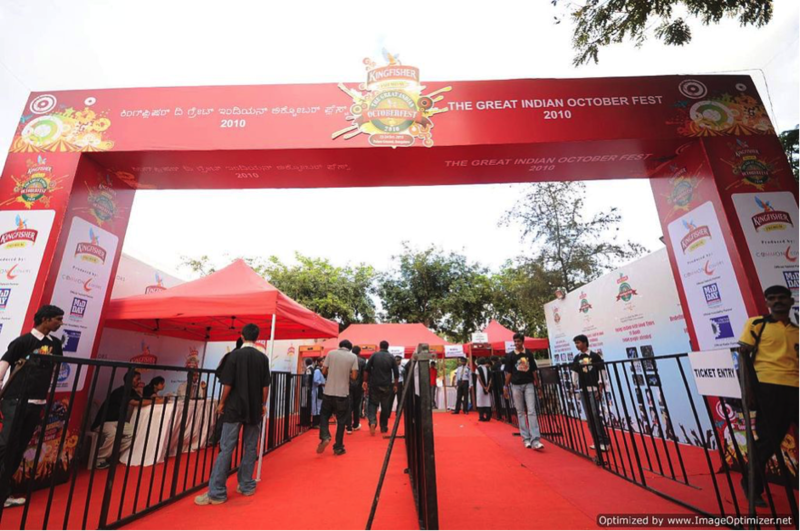 More recently, in order to allow more room for guests, the organisers prefer to use beer halls and musicians to entertain the visitors. 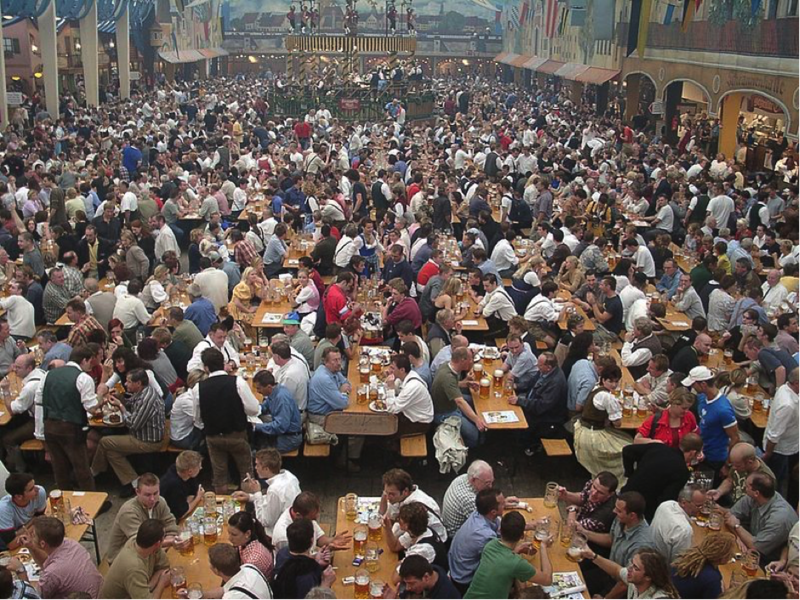 The beer sold at Oktoberfest has to conform to the ‘Provisional German Beer Law’, which allows the use of only very traditional ingredients, like water and yeast, although it is more inclusive than the previous beer law, the Reinhetsgebot. Furthermore, if breweries want to sell their beer at Oktoberfest they have to produce their beer within the borders of the city of Munich. 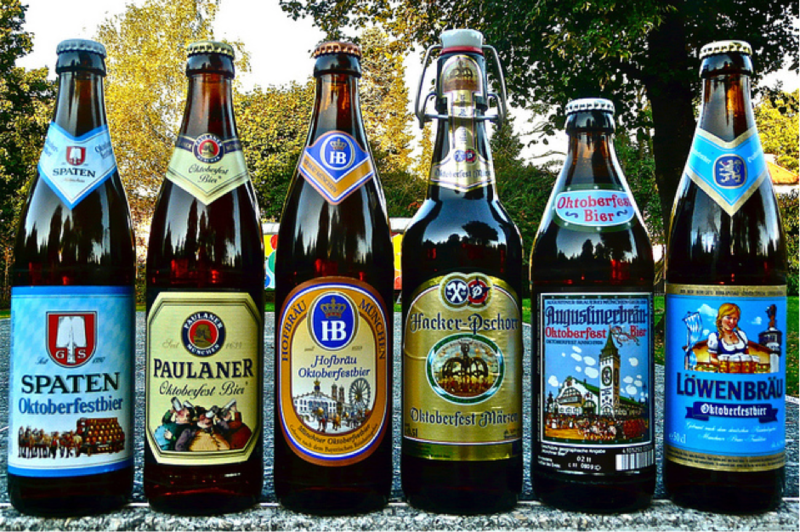 These rules and regulations led to the designation of just six ‘elite’ Oktoberfest beer breweries, which are very popular for export in the USA. The two-week celebration of Oktoberfest to commemorate Prince Ludwig and Princess Therese’s wedding has also inspired many similar events around the globe, many of which were founded by people of German heritage. For example, some of the first German immigrants who moved to Argentina founded the ‘Fiesta Nacional de la Cerveza’ (National Beer Festival), which has taken place every year since October 1963. Until 2012, when it was banned on university grounds, many universities in Australia held large celebrations of Oktoberfest for their students, which has now been centralised into the Supreme Court Gardens in Perth. Further notable festivities take place in Canada, Chile, South Africa and, in particular, the United States. Thus, Oktoberfest can be seen as a perfect example of a local tradition with royal roots that has transitioned into a worldwide celebration of culture and heritage.